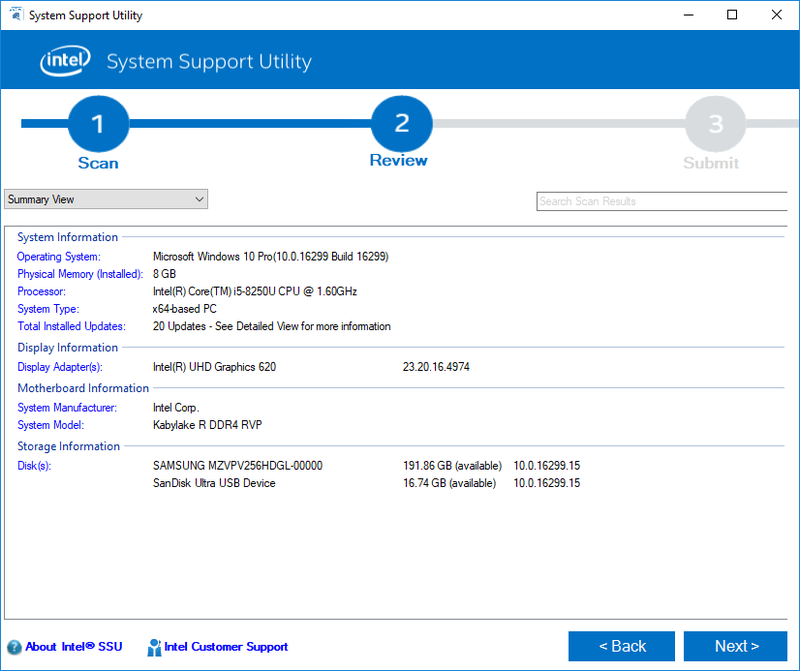 Intel® System Support Utility. 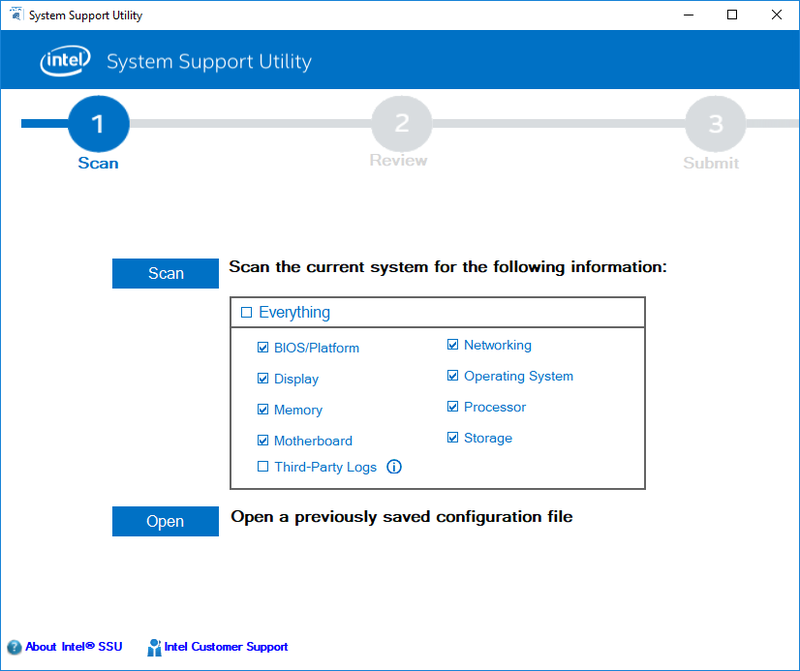 Intel® System Support Utility (Intel® SSU) is a standalone utility that performs a detailed scan and report of your computer system information and devices. 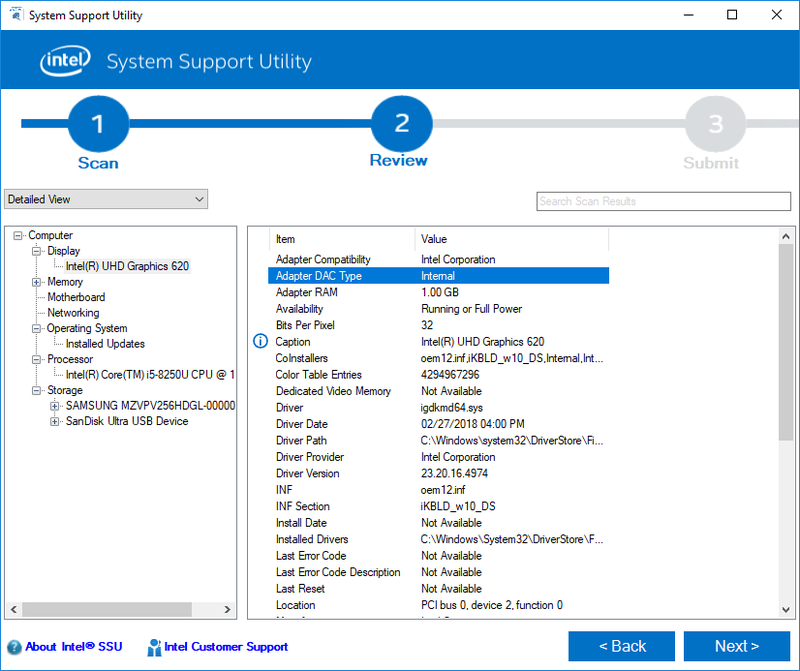 Intel SSU produces an output file that can be saved, viewed, and shared by the user.